What are the risk factors for Down syndrome? What are the other associated problems of Down syndrome? How to treat Down syndrome in babies? Can you prevent Down syndrome in infants? How to manage life for a baby with Down syndrome? Some genetic ailments have a lasting impact. Down syndrome is one such disorder that affects a person physically and psychologically. The condition can be limiting but not when the person with Down syndrome is given all the encouragement they need to sail through life smoothly. So what is Down syndrome and how does it affect babies? Is there any cure for the condition? Read on to learn about Down syndrome in babies and how parents can manage it. Down syndrome is a condition where the person has an extra set of the chromosome 21, which is also the smallest human autosome. It means there are three chromosomes instead of two, which gives Down syndrome the name trisomy 21 (1). The genetic material from the extra chromosome affects the development of the embryo, causing a series of abnormalities that have a lifelong effect on the individual. Trisomy 21 was first accurately described by the English physician John Langdon Down in the year 1866. The condition has been called Down syndrome since then (2). 1. Multiple copies of chromosome 21: It the most common form of Down syndrome, referred to as trisomy 21. Here, the baby is born with three copies of chromosome 21. The ovum and the sperm contain 23 chromosomes each, which are passed on to the embryo (baby). Thus the embryo or the zygote has 46 chromosomes. However, during cell division in the womb, the fetus abruptly develops an extra copy of chromosome number 21, which leads to trisomy 21. About 95% of babies born with Down syndrome have trisomy 21. 2. Broken chromosome: The baby is born only with a broken chromosome 21. The broken part of the chromosome 21 attaches itself to chromosome 14, leaving the chromosome 21 incomplete and the 14th chromosome with an extra attachment. 3. It primarily happens due to genetic mutations in the egg or sperm, which means the father or mother, even though healthy, passed a gamete that contained an unusual genetic mutation. This type of Down syndrome is called Translocation Down syndrome, and it accounts for 3-4% of Down syndrome cases. 4. Mixed trisomy: It is also called Mosaic Down syndrome and is very rare, constituting less than 1% of all Down syndrome cases. In this case, some cells of the body have three copies of chromosome 21, while the rest have a normal pair of chromosome 21. Those with this condition have the same characteristics as those with trisomy 21, but sometimes the symptoms are less severe. Down syndrome is fundamentally a result of a chromosomal abnormality. But no one precisely knows what causes the genetic mutation (3). However, the factors that seem to increase the risk have been identified. Maternal age is the single most critical factor that can increase the chances of a baby being born with Down syndrome (4). Women above the age of 40 have the highest risk of having a baby with Down syndrome. Do note that women younger than 30 also have a risk of having a baby with Down syndrome, although it is significantly lesser compared to older women. The symptoms of Down syndrome vary from one individual to another, depending on several parameters other than the age of the mom. Small, slanted, almond-shaped eyes that turn upwards. The skin over the upper eyelid may also seem a bit droopy. Small nose with a flattened bridge (nose cartilage). Small ears that slightly fold upwards. A small mouth, which the child has trouble closing. The tongue may appear longer due to this. Small hands and fingers. They might have one or two creases on the palm instead of the usual three creases. Shorter height than their peers. Low muscle tone also called hypotonia. It may become evident once the baby grows older. These are the general symptoms of the condition. 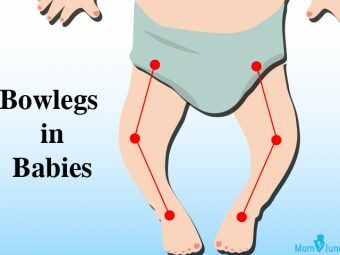 If you observe these symptoms, take the baby to a doctor for a diagnosis. These tests are divided into screening tests and diagnostic tests. Screening tests merely look at the probability of the mother having a baby with Down syndrome. The advantage of these tests is that they can be carried out during the early stages of pregnancy and sometimes even before conceiving. Blood test: A blood sample from both the parents is sent for laboratory analysis. The test checks for genetic mutations and other abnormalities that could increase the chance of the baby having Down syndrome. This test may not accurately predict Down syndrome, but can be done before conceiving, which is advantageous for high-risk women including those over the age of 40. Blood tests during pregnancy are performed at different stages for accurate diagnosis. Ultrasound scan: This is like the usual ultrasound scan for expecting mothers. 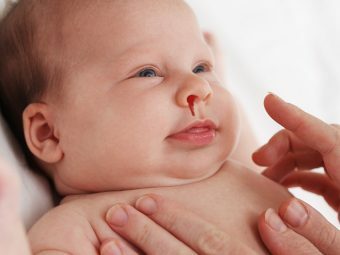 However, in this case, the doctor may look for specific features in the fetus such as a short nose, short neck bones, and heart defects that point towards Down syndrome. Fetal MRI: It is done if the doctor is positive that the fetus could have Down syndrome. In this case, the mother is placed in the MRI machine and the fetus tested within the womb. Since MRI provides an accurate image of the body tissues, it can lead to a much precise diagnosis of Down syndrome. MRI is safe during pregnancy and will not have any impact on the developing fetus (8). 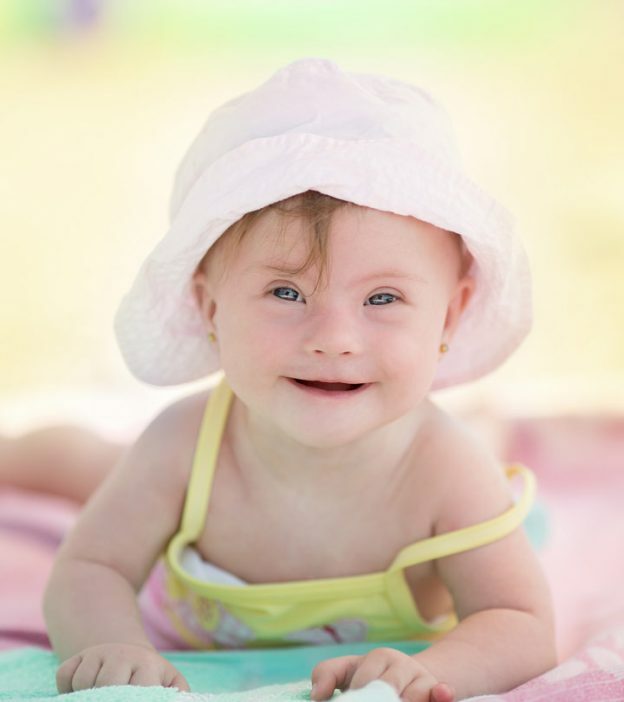 Diagnostic tests can accurately (almost a 100%) determine if the fetus has Down syndrome. On the downside, these tests may identify the condition only at a later stage of pregnancy. Also, most of these tests are invasive, i.e., requiring a sample of the amniotic fluid or placenta, which increases the risk of miscarriage or passing an infection to the fetus. Amniocentesis: A test where a small amount of amniotic fluid is drawn from the womb through a syringe (9). Amniocentesis is conducted in the second trimester, after 15 weeks of gestation. The amniotic fluid is sent for laboratory analysis to determine defects in the chromosome 21. A doctor may strongly recommend the test for expectant mothers over the age of 35, whose ultrasound or MRI indicate fetal anomalies. Percutaneous umbilical blood sampling (PUBS): It is also called cordocentesis. A blood sample from the umbilical cord is collected for genetic testing. It is quite similar to amniocentesis, except here the blood is tested instead of the amniotic fluid (10). Chorionic villus sampling (CVS): A biopsy is performed to collect a tissue sample of the placenta, which is sent for lab testing. The test is conducted during the first trimester between 10-14 weeks of gestation. These tests are performed once the baby is born. A doctor may perform these tests whether or not the baby is diagnosed with Down syndrome before birth. Physical examination: The doctor checks for the tell-tale signs of Down syndrome such as the presence of shorter nose bridge, slanting eyes, trouble closing mouth, etc. Prenatal reflexes are also checked for detecting abnormalities. Blood test: If the doctor suspects something wrong, or if the baby had a prenatal Down syndrome diagnosis, then a blood test is imperative. A rapid blood test can help detect Down syndrome within a week after birth. Once diagnosed, the doctor will tell you about the further course of action. Is There A Treatment For Down Syndrome In Babies? 1. Surgery: Conditions like congenital heart defects and intestinal problems can be rectified through surgery soon after the baby is born. 2. Medication: Chronic problems like thyroid issues and constipation are alleviated with the help of medicines that help the organs function correctly. 3. Adequate immunization: Vaccinating the baby as per schedule can reduce their susceptibility to infections. 4. Tools and equipment: Glasses can correct vision problems while hearing aids can help the child hear properly. 5. Lifestyle changes: Since those with Down syndrome are prone to obesity, parents can consider specialized diet and exercises that help the little one maintain a healthy weight. Next, we tell you about the other related problems a baby can have along with Down syndrome. Congenital heart defect: Nearly 50% of babies born with Down syndrome have some form of a congenital heart problem. There are several types of congenital heart problems, and the baby could be susceptible to any of them. High pulmonary artery blood pressure: The arteries in the lungs become constricted, adding pressure on the heart to pump deoxygenated blood through the pulmonary artery. It causes high blood pressure within the pulmonary artery, a condition called pulmonary hypertension. Hearing problems: One of the risks is the loss of hearing or difficulty hearing. 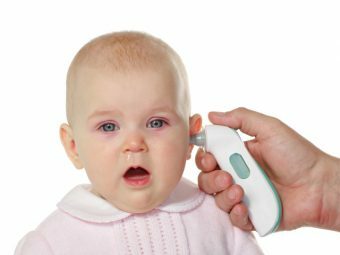 Those with Down syndrome are also more prone to ear infections. Obstructive sleep apnea: The airways within the throat collapse during sleep, leading to a constriction, which in turn leads to a disturbed sleep. Sleep apnea can also cause conditions like snoring and snorting during sleep. 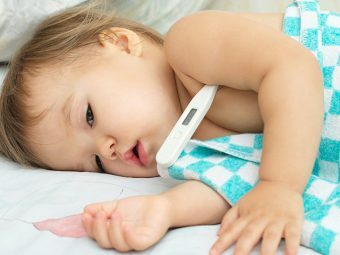 Gastrointestinal problems: The baby may develop gastrointestinal malformations and deformities such as Hirschsprung’s Disease, where the nerve endings in the small intestines do not function properly. It prevents smooth passage of stool through the bowel, leading to chronic constipation. Babies with Down syndrome are also prone to being overweight or obese later in life. Problems with the vision: Eye problems such as cataract are pervasive among those with Down syndrome. About 50% of individuals with Down syndrome will require glasses to correct their vision. Thyroid problems: The child may have problems in the secretion of the thyroid hormone. Slower cognitive development: Infants and toddlers with Down syndrome are slow learners due to delayed cognitive development when compared to others. There is no way to prevent Down syndrome since it is not known how to avoid the genetic defects that cause the condition. Late maternal age is one factor, which you may want to avoid. However, this does not guarantee prevention. Having a chromosome analysis and screening during pregnancy are a few ways to be prepared for a life with a child that has Down syndrome. Children with Down syndrome are not entirely limited in any form and can perform daily tasks such as learning how to talk, walk, go to the toilet, and express their feelings through language. They achieve these milestones slowly when compared to other children of their age. However, with adequate care and management, infants with Down syndrome can grow to be like any other member of the society. Contact a support group that can give you access to resources and information related to Down syndrome. It can help you understand your baby better. Infants with Down syndrome behave differently from their peers without the syndrome, making it hard for the parent to interpret their child’s body language and personality traits. You can find links to these support groups on the web, or ask your doctor or visit a child counselor about it. Therapy is vital for a child with Down syndrome since it allows him/her to fit into society better and can help through the formative years. Your baby will first need to undergo physical therapy that will allow them to crawl, roll, and stand during the early years. Therapy can help the child establish ideal body positions and movement styles that strains the body less while compensating for the low muscle tone. A language and speech therapy will help the child speak better, lay the foundation for better vocabulary and develop language skills later in life. A speech therapist can train the child with basic words and ways of using the facial muscles to make the right pronunciations. Babies with Down syndrome will also need emotional and behavioral therapy as they grow older. It can make things less frustrating in the teenage years when the child experiences a lot of physical and mental changes. Young adults with Down syndrome could benefit from occupational therapies. This therapy may start when your little one is young but gets more imperative during early adult years. The purpose of the therapy is to equip the child with skills and make them as independent as possible. Motivation is the positive reinforcement that children with Down syndrome need throughout the growing years. It is important to not make the child feel handicapped or limited in any way, because of the disorder. Allow the child to play, mingle, talk, and socialize with other children. The more they see themselves as part of an ordinary group, the less they sense their limitations. Eventually, it is parents who play a vital role in laying the foundation for the child’s bright future. Complete awareness and knowledge about the condition are the only way to manage it better. Next, we answer a few commonly asked questions about Down syndrome in babies. 1. Can smoking cause Down syndrome in babies? There is limited research on the effects of maternal smoking and Down syndrome in infants. Most studies on the matter either lead to no conclusion or find no reliable link between the two (13) (14). Nevertheless, smoking is known to cause birth defects and experts recommend quitting smoking if you are pregnant or trying to conceive (15). 2. Can drugs cause Down syndrome? While it is not certain that drugs can lead to Down syndrome, experts state that usage of maternal medicinal drugs and recreational drugs (narcotics) can increase the chances of genetic abnormalities like Down syndrome (16). So it is best to quit taking narcotics even before you try conceiving. If you are on some medication, then consult your doctor before conceiving or when pregnant. 3. Can babies with Down syndrome breastfeed? Yes. Infants with Down syndrome can breastfeed but may have trouble suckling due to low muscle tone and may get tired sooner while breastfeeding. You can consult a lactation consultant for help if needed (17). 4. Will a child with Down syndrome achieve developmental milestones differently? Yes. Babies with Down syndrome will reach all milestones, albeit slowly when compared to their peers without the condition (18). Therapy and intervention should minimize the delay in achievement. 5. Can a child with Down syndrome attend college? Yes. Most educational institutions do not discriminate on genetic disorders like Down syndrome. If your child studies well and secures good grades, they can get into a college (19). There are also special colleges that cater to individuals with Down syndrome, with a specially compiled curriculum. 6. What will my life be with a child with Down syndrome? Your life is going to be as fulfilling as it would be with a child who does not have Down syndrome. Children with Down syndrome can grow up to be essential members of the society like other individuals. While their healthcare expenses are higher and their life expectancy lower than others, they can still have an accomplished life. Thanks to advanced medicine, the life expectancy of those with Down syndrome has also increased significantly, and several individuals live up to ripe old age (20). Having a baby with Down syndrome makes your life different. There is always a worry about the future, but when you live in the moment, you realize that children with Down syndrome are no different than others. They throw tantrums, act fussy, and smile when you read their favorite book. As your child grows and starts to live life like other kids, the fact that your child has a genetic disorder will fade out of your mind. Remember, your child can have no limitations as long as you offer your love and support. 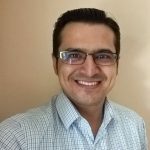 Have an experience to share? Let us know in our comments section.